Wesley Warren Jr., a man who garnered attention for his 130-pound scrotum, died Friday at the age of 49. According to Warren’s roommate, the man had suffered from multiple heart attacks before passing away in a Las Vegas hospital. Joey Hurtado, Warren’s roommate, said that he had been in the hospital for over a month due to infections related to his diabetes. Then, he apparently suffered from two heart attacks in the hospital. Hurtado claims that Warren’s death has nothing to do with his testicle removal surgery in 2013. In 2008, Warren obtained a blow to his right testicle, and woke up the next morning finding it the “size of a honeydew melon,” he told the Huffington Post. Warren had no health insurance, so did not immediately seek medical attention. His testicle grew nearly 3 pounds with each passing month. Unable to work and practically bedridden and in need of money, Warren accepted the offer from a British film company to make a documentary about his condition and struggles. The documentary aired in Britain under the name The Man with the 10-Stone Testicles. It also aired in Australia under the name The Man with the Biggest Testicles, and TLC purchased the film and converted it into a limited run series for their network. That show was called The Man with the 132-Lb Scrotum. 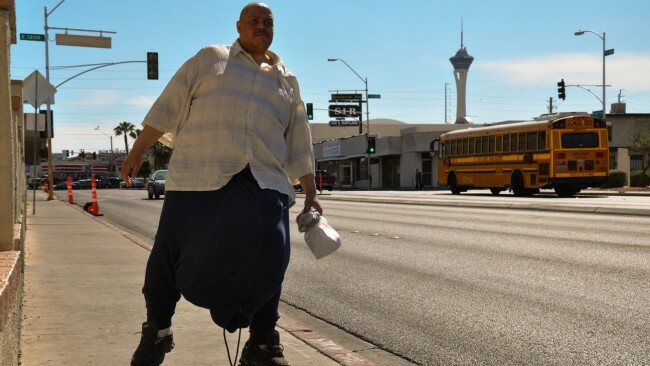 Warren, the man with the 132-pound scrotum, garnered attention after word of his watermelon-sized scrotum got out, and began to receive offers from people wanting to help, but he noted that living life with such a large obstruction became very challenging. “I couldn’t get on a plane. I was too big to fit in an airplane restroom,” he said. Radio show host Howard Stern got involved, and encouraged listeners to donate money for Warren’s cause. Warren was put in contact with a doctor that specialized in patients suffering from a disorder called scrotal lymphedema, which causes the scrotum to accumulate lymph fluid and excess tissue. Because of the help, Warren was able to have a surgery removing his enlarged testicle, and emerged from the operating room 200 pounds lighter. He had weighed over 500 pounds before the surgery. Warren still required multiple surgeries to help with the condition, and while his situation had been improved, he still had a long way to go. After the show and surgery, Warren went on a media tour with TLC promoting the show. He had been inspired to spread the word on his condition and desired to host his own radio or talk show. Doctors are still unsure of what may have caused Warren’s condition, but they do not believe that it is from any sort of physical injury he may have suffered from. Another possible diagnosis suggested was found to have been only transmitted by a mosquito indigenous to Asia, Africa, or Central America, where Warren had never traveled. Originally from Orange, New Jersey, Warren moved to Las Vegas in hopes to be a production assistant on the movie Casino. He had no family in the immediate area, but was motivated to gain contact with them once he underwent surgery. Wesley Warren Jr., the man with the 132-pound scrotum, died Saturday. 13 Responses to "Wesley Warren Jr, Man With 132-Pound Scrotum, Dies"